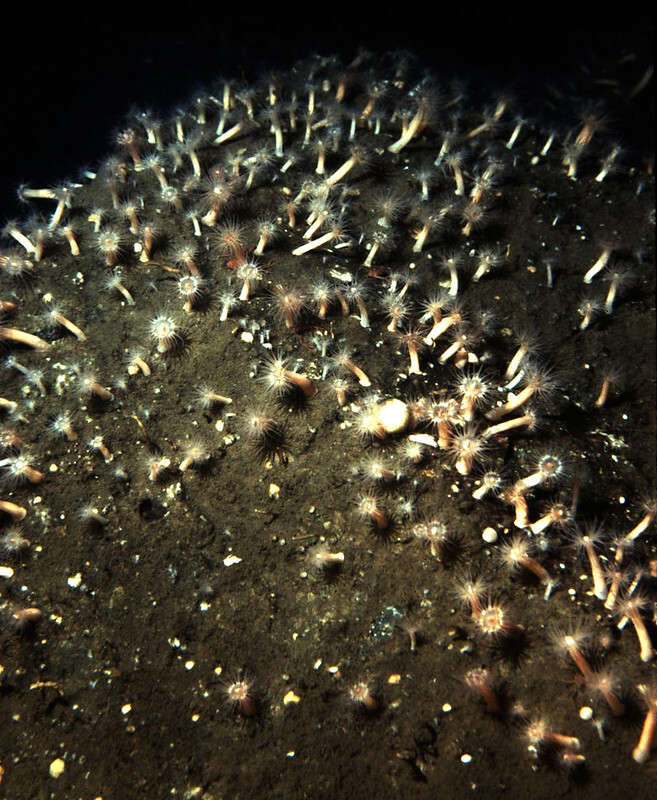 Saanich Inlet is home to 2 species that are new to science: an anemone (shown in the above photo) that lives at 100 m depth remains to be described (Synhalcurias n.sp.) 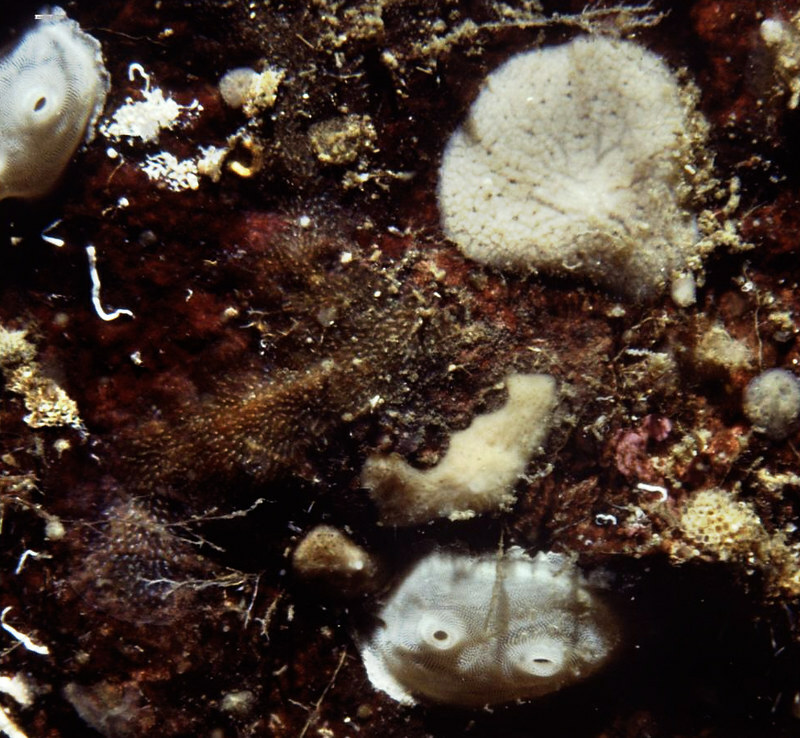 while the white sea squirt (shown below) was described several years ago as Bathypera feminalba. The name means “White Lady” – reflecting the white colour and the location in Saanich Inlet where it was collected: White Lady Rocks.